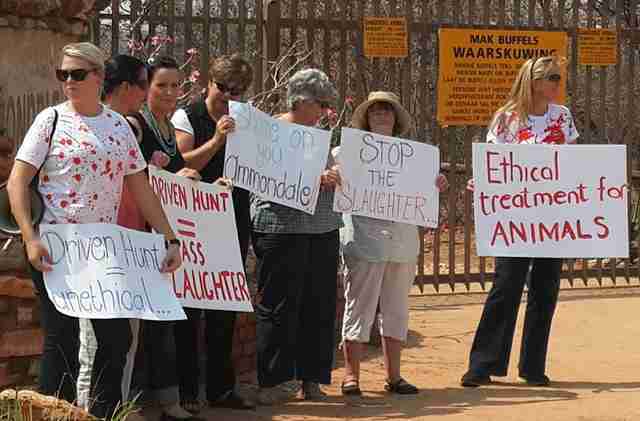 Nearly 100 animals were recently killed on a property in South Africa, shot dead in an activity so unseemly that even those who paid top dollar to participate in it couldn't bear to show their faces. 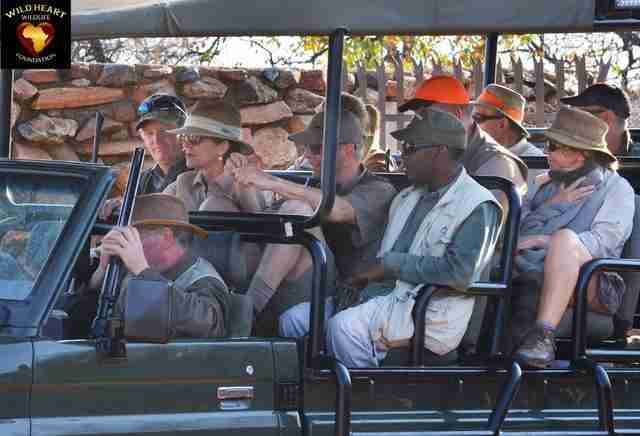 Last week, 13 wealthy European tourists descended on three farms near the rural town of Alldays, where one of the most shameful events ever conceived had been planned for their amusement - a "driven hunt." Unlike traditional hunting, in which target animals have a reasonable chance of escape, all the group had to do was aim and shoot at the terrified targets who were forced into their line of sight. "No hunting actually took place in the practical sense of the word," Paul Oxton, founder of the Wild Heart Wildlife Foundation, told The Dodo. "There's really no sport in it." Wooden platforms were built along corridors in the middle of the bushland for the hunters to stand on as 83 brightly-dressed event staffers did their job to make animals appear for them. 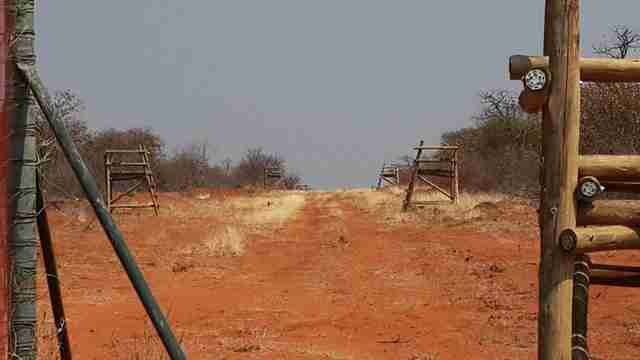 These individuals, called "chasers," walked shoulder to shoulder in a kilometer-wide sweep through the surrounding area, forcing wildlife to flee in the direction of the corridor where the hunters were waiting with guns leveled. "Any animals in the middle get shot dead," said Oxton. "They literally just stand there and take pot shots. There is no fair chase whatsoever. It's a completely different way of killing animals. It's highly unethical." An estimated 98 animals were killed using this method, including baboons, antelope and warthogs. The hunters were not selective, but instead seemed to fire at any creature big or small. Critics have dubbed the incident a "massacre." Despite the disturbing nature of the "driven hunt," there is evidently no legislation on the books prohibiting it. In fact, the Environmental Affairs Department says it was all above-board, which has come as a shock to local animal welfare groups and traditional hunters alike. 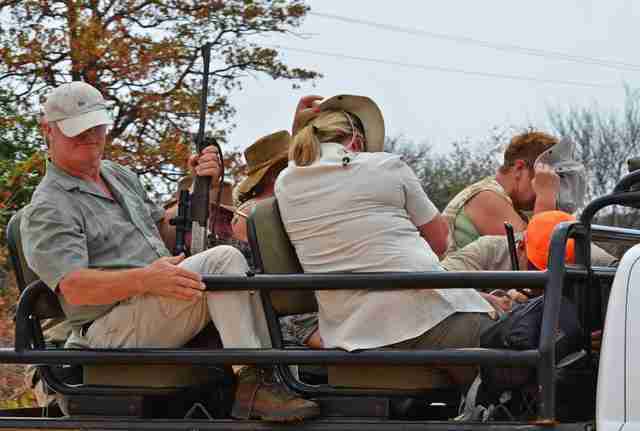 Such hunting methods have been used by South African safari lodges for over a decade, says Oxton, but operators have been successful in keeping them under wraps. This recent incident was only brought to the public's attention due to the fact that some of the wooden platforms were visible from a roadway. The director of the National Council of SPCAs (NSCPA) in South Africa has urged for "driven hunts" to be banned on account of being cruel to animals. 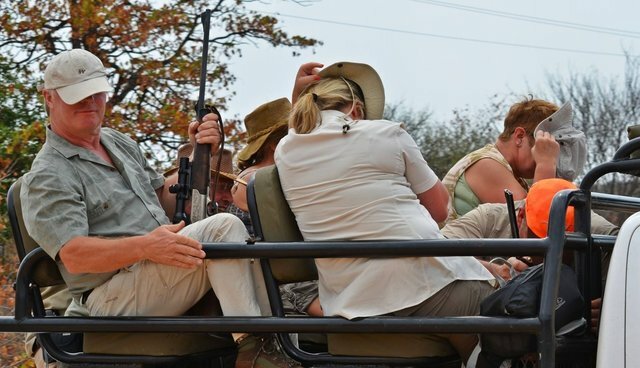 Little is known about the 13 tourists who participated in the hunt, other than that they include nationals of Belgium, Holland and possibly Denmark - and that they have enough extra money to throw around on killing sprees in lands abroad. "It is the wealthy who are doing this," said Oxton. "It is people who can afford to go out and kill for fun. I don't object to people having money, but to choose to spend it on killing wildlife in this manner is disgraceful. It's only when something like this is brought to light that it can be stopped. It's not that people ever approved of this - they just didn't know about it." Regardless of the fact that the massacre was legal, the hunters apparently understood that their bloody pastime was nothing to be proud of. As the group was being shuttled from killing field to killing field, Oxton had the opportunity to snap a few pictures of the gun-toting group of foreign tourists. They were less than eager to receive the attention. "They all started putting jackets and hats over their faces," Oxton said. "They were ashamed. These people were ashamed. 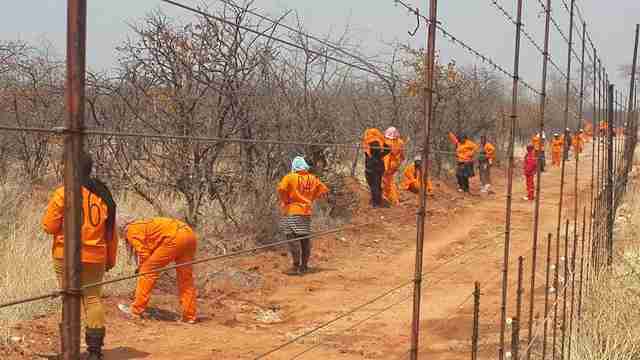 They obviously don't care, but they care enough to where they don't want to be seen for having done this shameful thing." 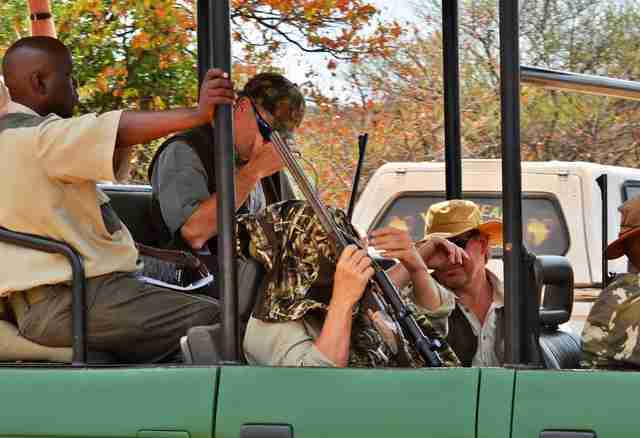 With the added awareness of "driven hunts" that has been raised in the wake of the Alldays Massacre, it may only be a matter of time before government officials are forced to act. Meanwhile, the exposure of those folks who participated in it will hopefully dissuade others like them from doing the same. "These people are going to be identified, and they're going to have problems," Oxton said. "I can see that there's going to be some major fallout for them. In my mind, that's the price they have to pay. My goal was to show the unethical manner of what they were doing. People shouldn't be allowed, just because they have enough money, to pay to kill animals using this method. It's terrible." To learn how you can help push for "driven hunts" to be banned, visit the Wild Heart Wildlife Foundation and the NSCPA.